The Bright Starts™ Merry Sunshine™ Rocker rocks back and forth, and can be locked into place for use as a stationary seat. 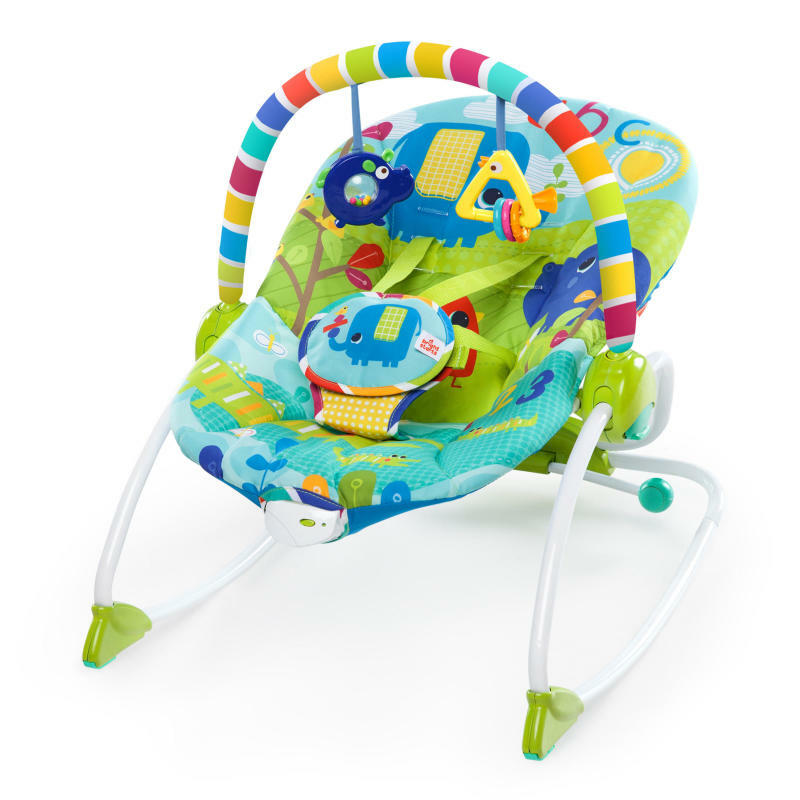 The back and forth motion and soothing vibration will help calm and entertain baby. The kickstand, which is located out of baby’s way, easily locks seat into a stationary position. Full body recline with 2 positions can be adjusted to suit baby’s needs. As baby grows, the toy bar can be removed and the rocker and stationary seat can be used by toddlers up to 40 lbs. This rocker is the ideal seat for both babies and toddlers! Seat pad is machine-washableToys: Wipe clean with damp cloth and mild soap. Do not immerse in water.